As part of the Nintendo Direct Thursday, the gaming giant announced that, after years of waiting, Super Smash Bros. will finally be coming to Nintendo Switch in 2018. The trailer begins with two Splatoon! 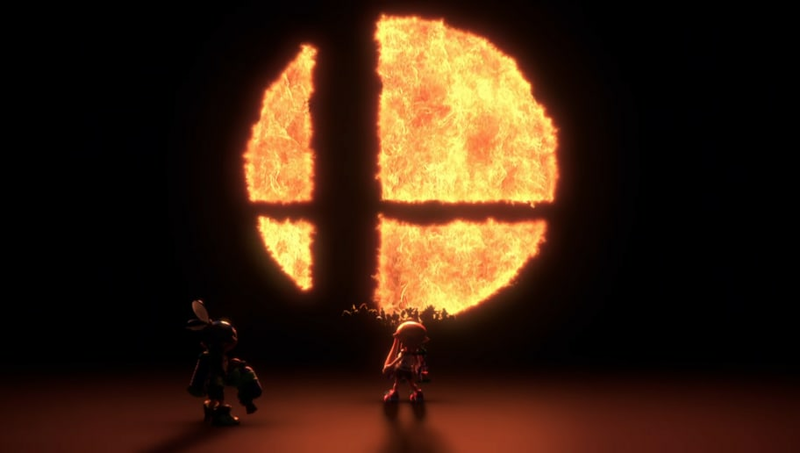 characters battling each other when suddenly a massive, burning Smash logo appears in the sky. Beneath it stands the silhouettes of the franchise's most famous characters, including Mario and Link. As of yet, many specifics are unknown. Will it be a port of Smash 4? Will it be a new entry in the franchise? Will the Splatoon characters be playable? And when exactly will this thing drop? Unfortunately, we lack all of these answers. All we know is this: The hype train has officially left the station.